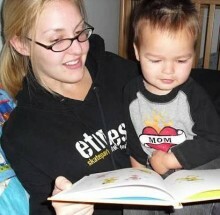 Bay Super Nannies is always looking for great full time nannies, in San Francisco (or close by). If you love children, have great references, and want to make a difference in the lives of a family, please see the below requirements and then apply! and updating Child/Infant CPR, negative TB test, T-dap vaccine for jobs with newborns/babies, etc. if needed. "Thanks so much for getting my name out there, it really helps. I REALLY appreciate it! Thank you so much for everything."